Is Arsenic a Key Ingredient in the Battle Against Cancer? 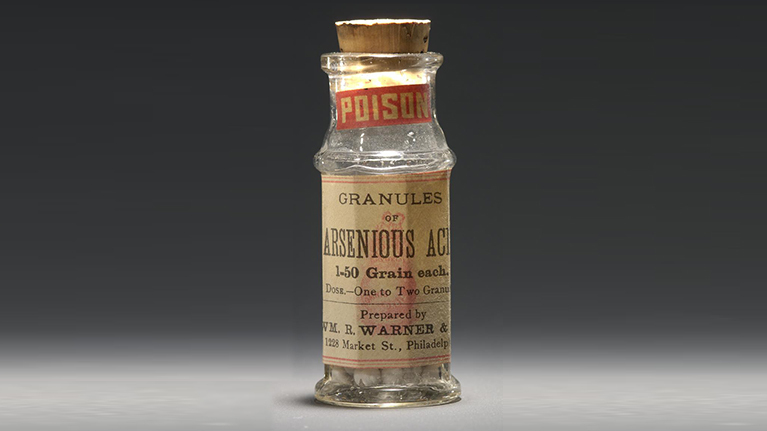 Arsenic, the weapon of choice for villains in Agatha Christie’s famed mystery novels, turns out to be a key ingredient in a novel way to combat acute promyelocytic leukemia (APL), a type of cancer that was, until recently, highly lethal. Researchers Kun Ping Lu and Xiao Zhen Zhou of Harvard Medical School and Beth Israel Deaconess Medical Center discovered that oxidized arsenic, commonly known as arsenic trioxide, can effectively target a master cancer regulator protein called Pin1 when paired with all-trans retinoic acid. The research appears in Nature Communication, published on August 9th. Pin1 is an enzyme that the researchers identified more than 20 years ago, and is highly expressed in 60 to 70 percent of common cancers, in which it promotes cancer-cell growth while simultaneously shutting down cells’ natural tumor-suppressor mechanisms. Lu and Zhou found that the combination of arsenic and retinoic acid (a metabolite of Vitamin A) works by successfully inhibiting cancer-driving pathways. The combination is also effective in battling breast cancer that is not susceptible to hormone therapy (triple negative breast cancer, so-called because its growth is not supported by the hormones estrogen or progesterone, nor by the presence of too many HER2 receptors). Given the prominent role of the Pin-1 enzyme in the development and growth of many other kinds of cancers, Lu and Zhou believe that their research has exciting implications for treating a wide range of cancers—as long as the taboo around arsenic doesn’t inhibit progress.